PASTOR DOMANIC A. SMITH is a native Baltimorean. 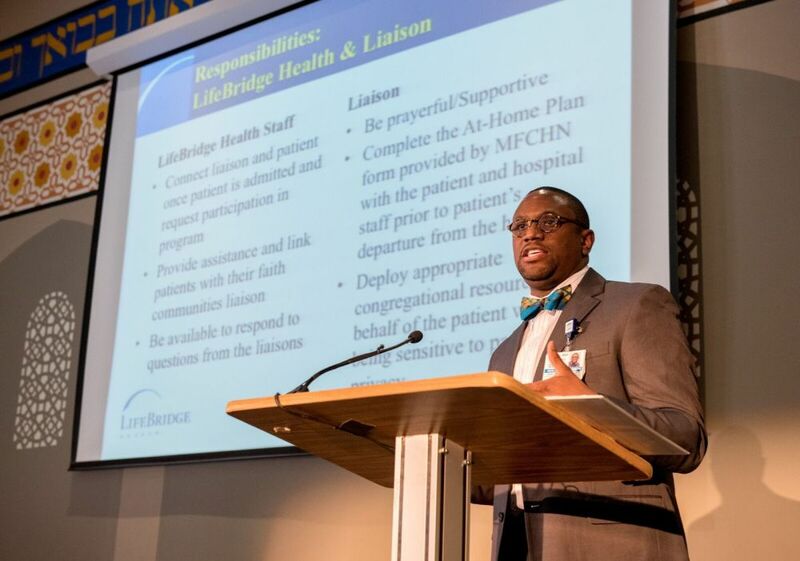 He is currently employed as the Community Pastoral Outreach Coordinator for the LifeBridge Health System, Department of Community Health Improvement in Baltimore, and leads LifeBridge Health in all of its faith-based community relations and initiatives. Pastor Smith holds a Bachelor of Science Degree in Communication Studies from Baltimore's Morgan State University and a Master of Divinity Degree from Duke University Divinity School (Durham, North Carolina). Pastor Smith has also studied at Shaw University Divinity School in Raleigh, North Carolina and is currently pursuing a Doctor of Ministry Degree, focusing on faith and health, from Apex School of Theology , North Carolina. ​Pastor Smith was licensed to preach the Gospel in 1999 and ordained into the Gospel ministry in 2003, through the combined efforts of St. Paul Baptist Church, Baltimore, Maryland and Mt. Zion Baptist Church, Apex, North Carolina. Pastor Smith served with the General Baptist State Convention of North Carolina, Inc., New Hope Missionary Baptist Association, and has active involvement with the United Baptist Missionary Convention and Auxiliaries of the State of Maryland, Inc., where he served as the first elected Executive Secretary and currently serves as First Vice President/Chief Administrative Officer and the Chairman of the Trustee Board for the Maryland Baptist Aged Home. Pastor Smith also serves as the first Chairman of the Board of Trustees for the Kings Landing Women's Service Club, an organization founded to support programs and projects designed to improve the quality of life for young people. ​Pastor Smith is the organizing pastor of Ezekiel Church and Ministries and the founding Director of Pastoral Care at the Maryland Baptist Aged Home. Moreover, Pastor Smith is a hands-on father to his son, Dillon-Seth Anthony Smith.